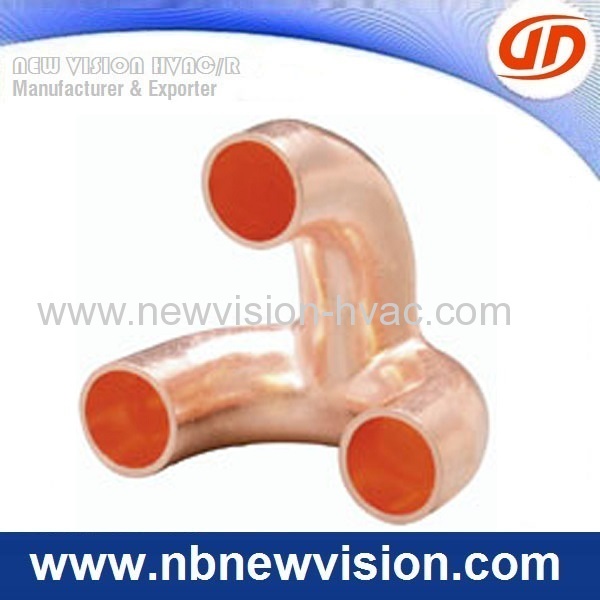 Range of ASME B16.22: 3/16" - 5/8"
One of largest supplier in air conditioner copper fittings & plumbing in China, and available for OEM and drawing request from home and abroad customers. 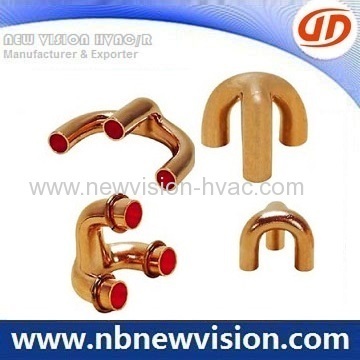 We offer a wide range of air conditioner copper fittings like copper tripod, copper u-bend, return bend, c-bend, side open bend, cross over bend and other copper bend fittings. 1. The raw material supplied byourselves. 2. Lots of automated machinesequipments. 3. The product capacity for 15 millions pieces per month. 4. High quality and advantaged technology for theends & radius of fittings. - The above data of sheet for the reference only. - Moud & tool charge free for big quantity. In case of more assistance about copper tripods, welcome to let us know any time and the reply will be made in 24 hours.